A 3-day summit to celebrate Northern innovation and discuss the future direction of the Northern Powerhouse will take place this summer, the government announced today (16 May 2018). The Northern Powerhouse Business Summit, part of the Great Exhibition of the North, is the first event of its kind ever to be held by government and will take place from 4 to 6 July 2018 in NewcastleGateshead. The summit will bring together small businesses, government ministers, Northern Mayors, and business leaders from across the North of England. Together they will help to shape the next stage of the Northern Powerhouse through panel discussions, presentations, workshops and speeches. It will be held at the heart of the Great Exhibition of the North, on the site where 19th century engineer George Stephenson designed the world’s first locomotive – the Rocket. From the Industrial Revolution to the government’s Industrial Strategy, themes of discussions across the 3 days will include how the Northern Powerhouse can be at the forefront of the Strategy, including the role of the North in the government’s ‘Grand Challenges’. These challenges are: growing the Artificial Intelligence and data driven economy, clean growth, the future of mobility and an ageing society. "The Northern Powerhouse is a top priority for our government and it is right that it should be central to the Great Exhibition of the North. "The last Great Exhibition was in 1851, when the North was powering the Industrial Revolution. This summit is about making sure that the Northern Powerhouse is creating a Northern economy fit for the future with the North at the forefront of a fourth Industrial Revolution." The event will explore the creativity and innovation of northern businesses – from SMEs to FTSE100s – and the role the Northern Powerhouse will play in maximising the opportunities of Brexit. There will also be discussion on how to tackle the North-South divide in educational attainment and outline the measures government is undertaking to reverse historic under-investment in northern transport and super-connect the great cities and towns of the North. "The Great Exhibition of the North is a watershed moment for NewcastleGateshead that will celebrate not only art and culture, but the incredible design and innovation from across the North. "This business summit will bring Northern leaders together to showcase the region’s industrial strengths and attract future investment." "The Northern Powerhouse Business Summit will be a fantastic opportunity to showcase all that is great about our region and we are delighted to be hosting this event in NewcastleGateshead as part of the Great Exhibition of the North. "Building a stronger northern economy and maximising opportunities for investment is crucially important – not just for our region but for the whole country. "This event will bring together key people and organisations who can develop the blueprints for future growth in the North." "It will provide a platform to showcase the breadth of talent and capabilities of Northern business to a national and international audience, showing that we can compete globally in sectors including manufacturing, digital, and business services and it will demonstrate the exciting and rewarding careers that are available to people here in the North East." The Northern Powerhouse Business Summit is supported by the European Regional Development Fund and will be free to attend. Demand for tickets is expected to be high, so businesses who would like to attend are encouraged to register their interest early. See the website for further details on the programme and how to register. Confirmed speakers and the final programme will be announced in due course. 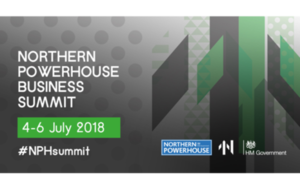 The Northern Powerhouse Business Summit aims to provide businesses from across the North with learning, networking and commercial opportunities, as well as shine a spotlight on the start-ups and scale-ups which call the North their home. With a line-up of industry speakers, together with interactive workshops and an exhibition of Northern SMEs, businesses which attend can expect to be inspired by stories of innovation from across industry. Government ministers will attend the summit to engage key leaders on their views for the future of the Northern Powerhouse. The summit is being delivered by NewcastleGateshead Initiative, supported by delivery partners BeaconHouse Events, HemingwayDesign, Digital Catapult, Thinking Digital and Sunderland Software City.